Arslaan Javaeed Poonch Medical College, Rawalakot, Azad Kashmir. Maria Bint Zafar Poonch Medical College, Rawalakot, Azad Kashmir. Madiha Iqbal Poonch Medical College, Rawalakot. Objective: To find out the correlation between internet addiction and depression, anxiety and stress among undergraduate medical students in Azad Kashmir. 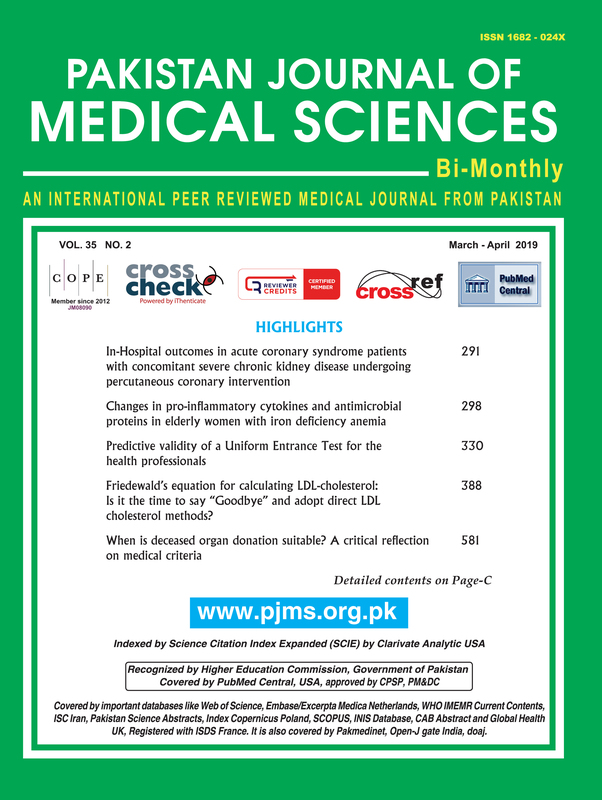 Methods: A cross-sectional study including 210 undergraduate medical students (first to the fifth year) was done in Poonch Medical College, Azad Kashmir. The data collection tools were DASS21 questionnaire and Young’s internet addiction questionnaire. Spearman rank correlation test was done to see the correlation between internet addiction and depression, anxiety, and stress. Data were analyzed by SPSS v23 at a 95% confidence interval. Results: A very high prevalence (52.4%) of moderate to extremely severe internet addiction was observed among the respondents. The mild positive correlation between internet addiction and depression was identified (p <0.001) and similar type of correlation was observed between internet addiction and stress (p 0.003). However, anxiety and internet addiction were not significantly correlated. The prevalence of anxiety and depression among the males were higher than the females, whilst the stress level was almost the same across gender. Conclusion: Internet addiction has been found to be associated with various psychiatric diseases. In this study, we also observed such correlation. We have also observed a very high level of internet addiction among medical students. The prevalence of internet addiction may further increase in the coming years as the internet will become more cheap, available and include more high quality psychologically addictive contents.